It was a typical sunny day in Southern California the first time I had heard of the name Mikkeller. I was sipping beer at Alesmith, a household name in San Diego craft at their new taproom. Complimenting the fresh space the guy at the tap casually mentioned selling out their old taproom to Mikkeller. Curiosity was peaked further when I learned that Mikkeller wasn’t your typical California craft, they hailed all the way from Scandinavia. Denmark to be exact. Finishing up some Alesmith brews I made Mikkeller my next stop. The sun continued to shine down as I stopped in San Diego’s Miramar neighborhood. Entering Mikkeller Brewing I was met with a zany atmosphere I could only describe as “delightfully Scandinavian.” A shiny turquoise green floor reflected a giant wall mural of cartoonish figures in spotted shirts chugging back bottles of beer. Bright polished wood tops and steel framed stools made up the seating and I immediately found myself drawn in by the colorful atmosphere. I climbed on a stool, gazed up at the menu and couldn’t resist but to ask about Mikkeller Brewing’s story. How had Danish craft ended up in California? It all started with two budding homebrewers, Mikkel Borg Bjergsø and Kristian Klarup Keller. Inspired by the American craft beer scene they started out attempting to create the styles of some of their favorites before eventually creatively exploring unchartered territory. Entering local homebrewing competitions they combined their names to create Mikkeller Brewing and after many awards and an internationally recognized stout; Beer Geek Breakfast aspirations went global. Since gaining acclaim the Mikkeller story only gets more interesting from there. Not having the means to acquire their own brewing facility and with demand growing for their brews Mikkeller turned to the craft beer community. By renting out equipment at existing breweries they were able to brew their beers and earnest and soon established an online e-store to ship their tasty creations world wide. Their roaming style of brewing within the breweries of other brewers sparked the beginning of collaborations, partnerships, and the spreading of creative ideas. It was through a conversation at Alesmith about stouts that Mikkeller was able to obtain the space for its San Diego taproom. As they began teaming up with breweries worldwide they began expanding their portfolio collaborating and brewing exclusive beers for the locations they’d travel to. California Dream, a pilsner brewed specifically for their San Diego crowd combined light malts and the right amount of hops to create a crisp and balanced brew perfect for the sunny Southern California weather. The beer’s flavor and character attested to Mikkeller’s brewing chops. I was immediately hooked. The Mikkeller story, their traveling gypsy take on brewing and their versatile ability to brew in different styles made me sad to leave their California taproom. Fortunately this wouldn’t be my last experience with Mikkeller. An ocean away in the heart of the Danish capitol the bitter northern wind gusted through cobbled streets as I made my way from the metro. I was happy to finally get off the street and when I recognized the familiar cartoon visages of the Mikkeller logo I early pulled the handle and entered their home operation at Mikkeller bar. It had been over a year since that sunny San Diego day when I first tried Mikkeller brews but their philospohy had not changed. Still nomadic and rambling they still sourced brewing at partner breweries and maintained a stockpile of creations here at Mikkeller Bar. Once a wine bar the location still maintained that elegant flair. Rustic bricks, small intimate candle lit tables, and deep wooden bar top made for a separate but still welcoming atmosphere from their San Diego facility. Ordering up I was served my beer in a fluted glass befitting the atmosphere. Spontangooseberry is one of many of Mikkeller’s sour variations. A fruit Lambic it utilizes the addition of gooseberries, a native berry to Europe. Crisp and light but with a tart character it was well balanced and not overly sour where I found myself pursing my lips. 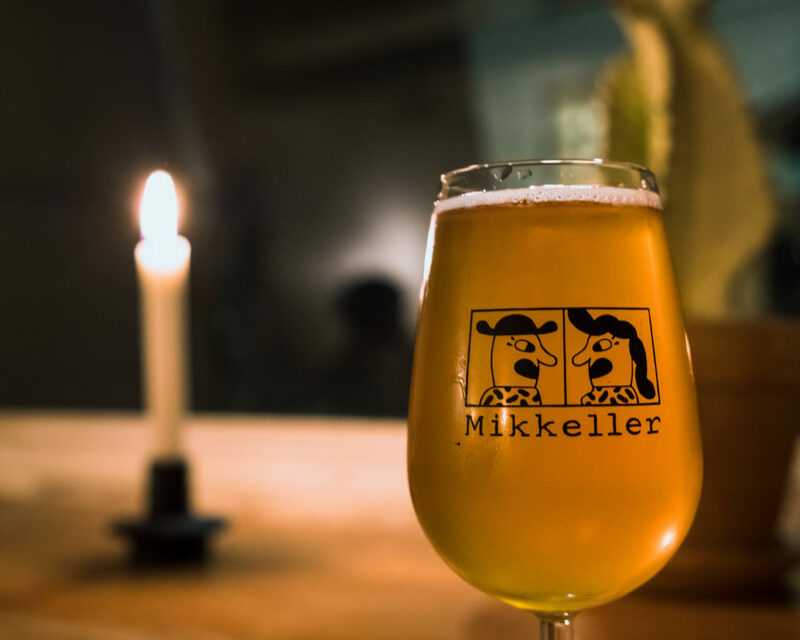 While Mikkeller still remained tried and true to its brewing techniques and roaming style it has only grown their following and popularity. 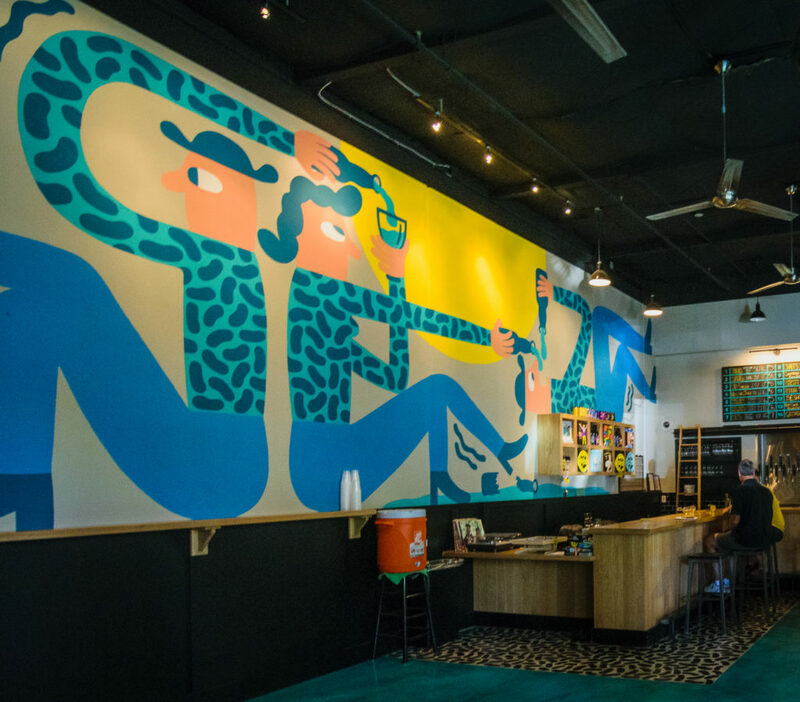 In addition to their home location and San Diego taproom Mikkeller now boasts distributing beer to over 40 countries and runs Mikkeller style bars in places from Warsaw to Stockholm, Thailand to Tokyo. Their collaborative nature has led them to work with the likes of Three Floyds, Cigar City and Evil Twin. 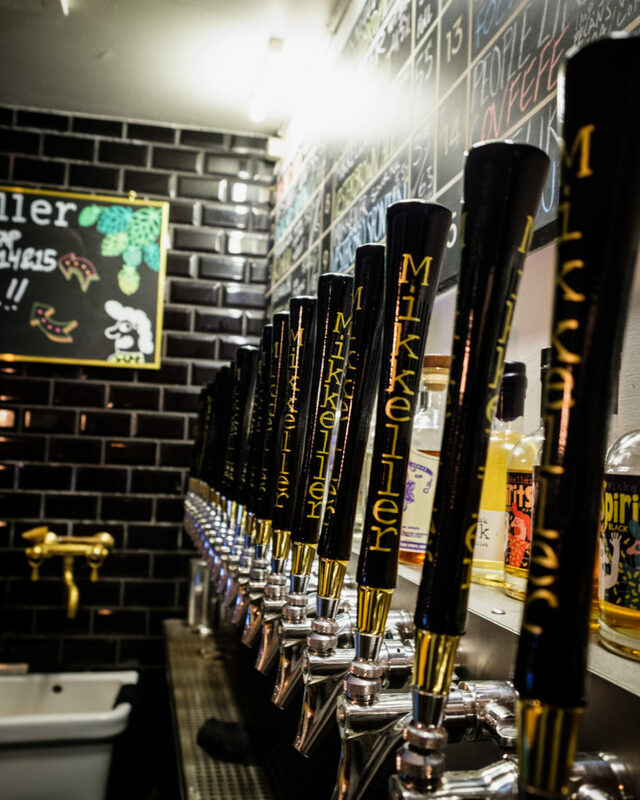 The Mikkeller ethos is one of traveling, sharing culture, creativity and ideas. 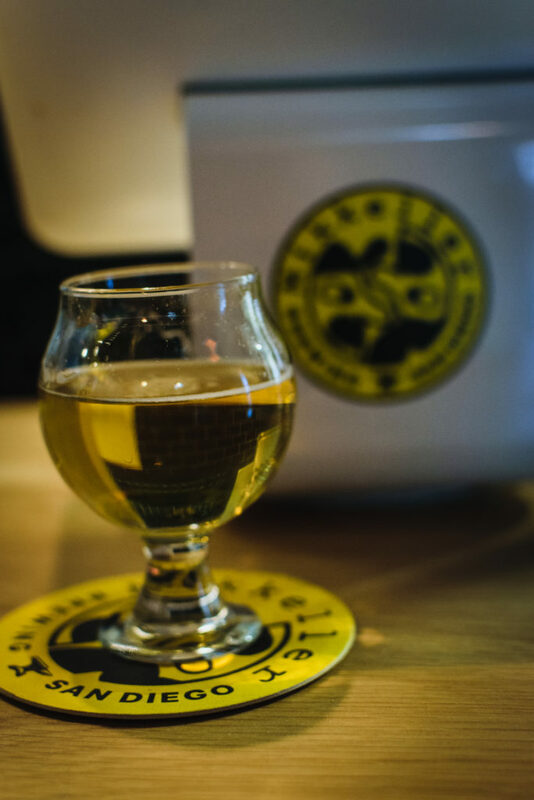 Its collaboration born from passion for good beer and a perfected craft and the ending results are always delicious. I left Copenhagen only wondering where I would run into my next pint of Mikkeller beer. Given their ambition and scope I couldn’t hope to guess. I only knew I wouldn’t be disappointed. I’m in the insurance industry & I like beer. How can I get into this?